Look at the list of two-pitch starters these days, and you won’t find any left-handers. That’s probably because lefty starters have to think about opposite-handed hitters more than anyone. That’s probably also why more lefties use changeups than righties — the pitch is more effective against opposite-handed batters. 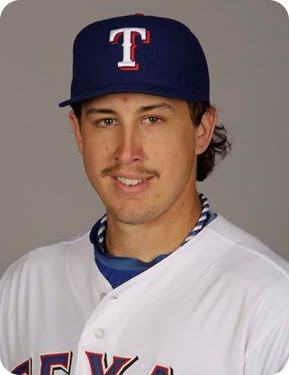 Well, Derek Holland’s changeup has seen better days, he’ll admit it. And he doesn’t throw his semi-consistent curve all that much. So how does the Ranger’s mustachioed lefty make it work? Still searching for the right grip? Rehab actually gave him the opportunity to work on the change. “The best way to practice it is to throw it during long toss,” Holland said. “The more you long toss, the more you actually have to throw the dang ball.” The small-sample results on the change so far this year are better (15% swinging strikes, 86% grounders), but the pitch still lacks the fade and depth that you’d like from a strong changeup. His sinker fades more and the change only drops a half inch or so more than the sinker. That’s okay when you’ve got one of the best sliders in the game. Until Clayton Kershaw‘s most recent start, Holland owned the best swinging strike rate on a slider in the game (among starters). 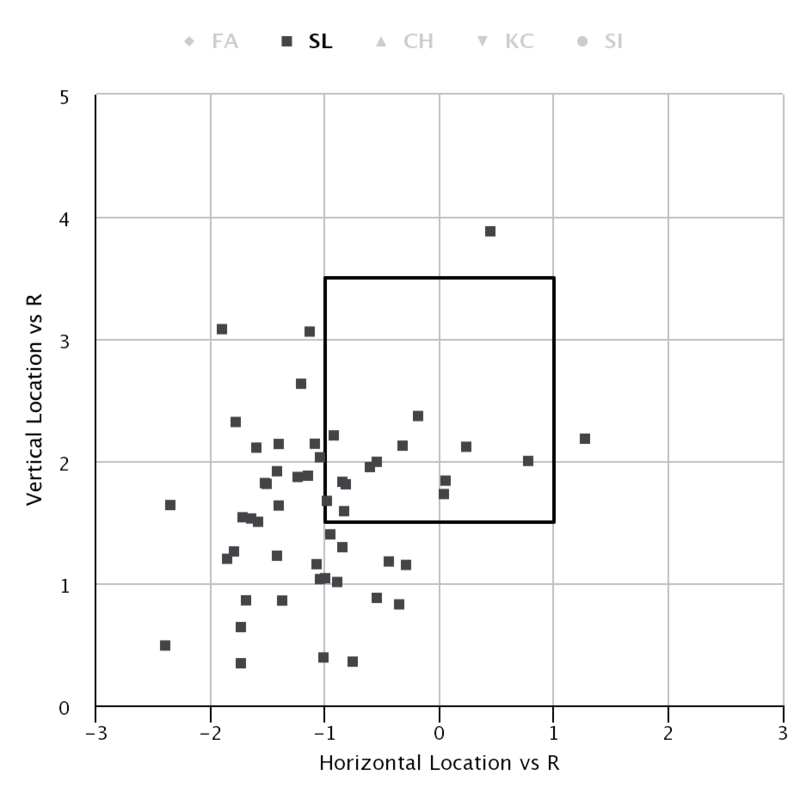 A strong game from the Dodger pushed him up to 30.1%, but Derek Holland‘s 29.1% is nothing to sneeze at, especially when third place among regularly-thrown sliders is Carlos Carrasco’s 26.5%. So much nastiness born of a simple grip. Provided you don’t actually hit the back foot, that’s a fairly nasty pitch. Mr. Holland’s opus looks like it’s headed to the wheelhouse — most righties love the pitch low and in — and then it breaks out of the zone. That’s how the lefty has limited all hitters to a 46 wRC+ off the pitch in his career, despite seeing twice as many righties as lefties. The backfoot slider to a righty, in action. 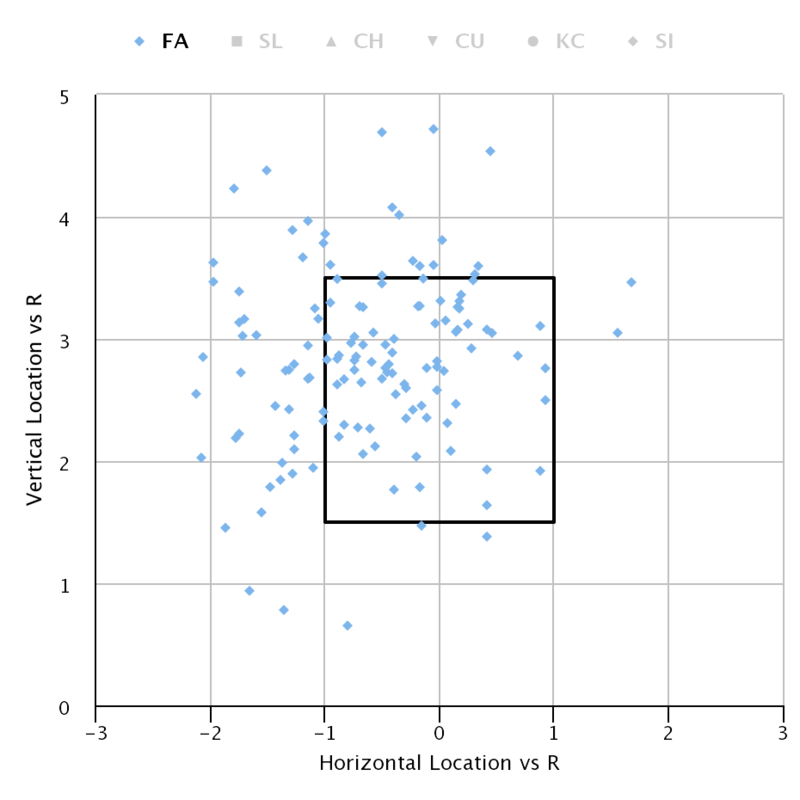 While his slider location may be more predictable than he’d like, Holland has been very successful in mastering command of the slider to the point that he can throw the pitch in any count. 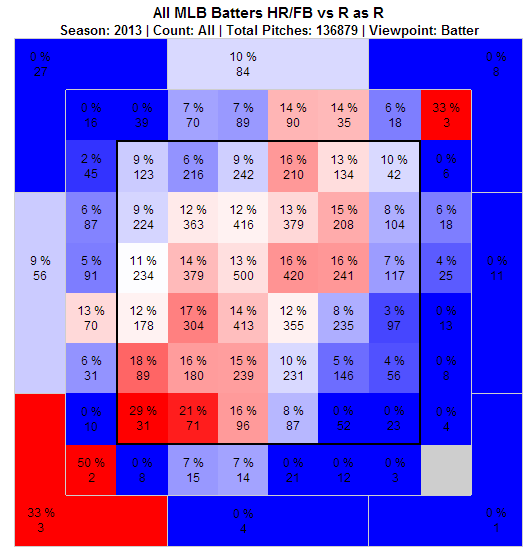 His usage of the slider over his career only dips from 14% in no-ball counts to 11% in three-ball counts. It’s hard to sit fastball on him. Still, it’d be nice to have a legit third weapon. If it doesn’t come from the change, it may come from the curve. Though the movement isn’t always consistent on his knuckle curve, it’s effective in other ways. “It’s not a true hammer — at times it’ll be 12-to-6, at times it will be 11-to-5, it kind of tilts from time to time,” said Holland. 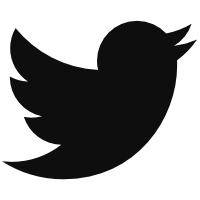 “You can see it in the velocity. And the change in eye-level.” The curve gives him his only pitch in the 70s, and the biggest drop on any of his pitches. 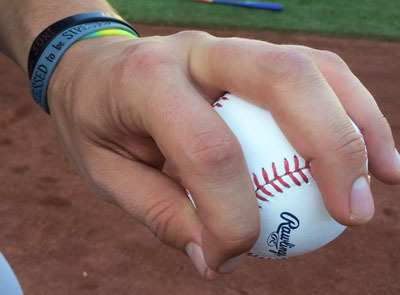 Holland’s knuckle isn’t dug into a seam like other knuckles in many of the nastier knuckle curves. Since he features two inconsistent secondary pitches, one of the best sliders in the game, and plus velocity, the future isn’t written for the lovable lefty. When he starts tonight, watch the curve and change for depth, and maybe his slider usage in fastball counts. Those will be important for him going forward. Maybe a little bit more command will really tie the whole package together. If so, we’ll finally know for certain how important playing catch really is. 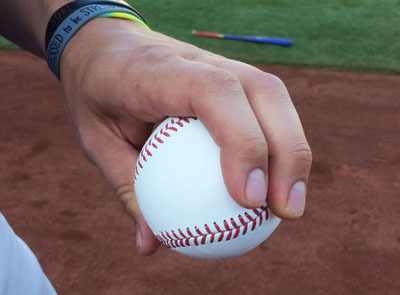 We hoped you liked reading Derek Holland’s All About The Slider by Eno Sarris! 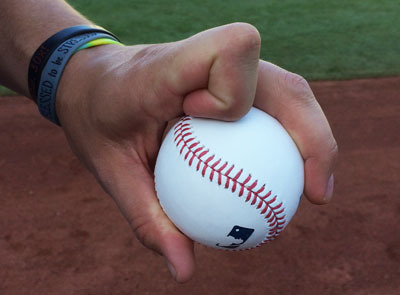 As a pitcher (albeit one playing in a men’s league) I love this series and always enjoy reading about the variety of grips the pitchers in the major leagues use! Thanks!